Daily life is enough to cause the occasional bad mood, but many women find that they suffer from more severe mood swings as they approach menopause. This is because hormone levels, specifically estrogen, fluctuate during menopause. Estrogen impacts mood, and decreases in estrogen levels can cause mood swings and irritability. Research shows that women who experienced strong PMS tend to experience stronger mood swings and irritability during menopause. Find out more about how to manage irritability at home. 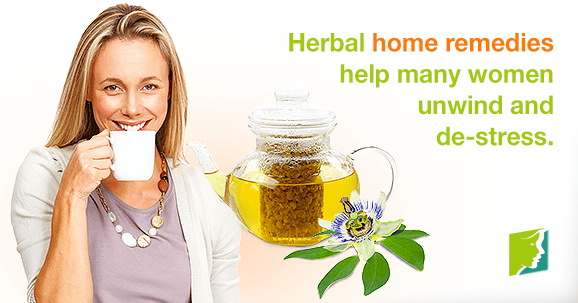 In addition to a varied diet and regular exercise, herbal home remedies can help soothe away irritability. The most popular way to take such herbs is through tea, which comes in a wide variety of flavors and purported benefits. Valerian root tea, for example, is widely thought to have calming effects, with the added bonus of helping to fight insomnia - another common menopause symptom. Passionflower has also been studied for its stress-reducing qualities, though time-tested classics like chamomile and peppermint are more widely available. Irritability during menopause can be triggered by stress. The best way to regulate stress is to carve out time specifically for relaxation. If social activity calms you down, perhaps you could go to a spa with some friends. Likewise, if solitude is calling your name, a good book can be welcome escape from the pressures of everyday life. Nature is often a soothing environment, and a walk in the park might be just the quick fix to turn an irritable mood around. However, sometimes a walk in the park just isn't enough to vent aggravation. In that case, cathartic outlets might be worth a try. One of the healthiest ways to vent anger is through a good cardio workout, which not only releases pent-up irritability, but also promotes overall health. Because they concern so many aspects of health and well-being, most menopause symptoms are difficult to face alone. Irritability is no exception. Surrounding oneself with calm, patient people can make all the difference in personal peace of mind, and support groups are crucial throughout all important life changes. The awareness of loved ones can soothe irritability before it even starts. Medications are also available. Many women find that hormone replacement therapy or antidepressants can help decrease severe irritability and mood swings. It is a good idea to talk to your doctor if mood swings or irritability are lowering your quality of life and do not respond to home cures. Click on the following link for further information on how to manage irritability and other menopause symptoms. Irritability and anxiety are common symptoms of the menopause transition. Learn about the easy steps you can take to start feeling better in no time. Late nights at the office, a new baby in the family, hot flashes at all hours: there is a myriad of reasons why people don't get all the sleep they need.